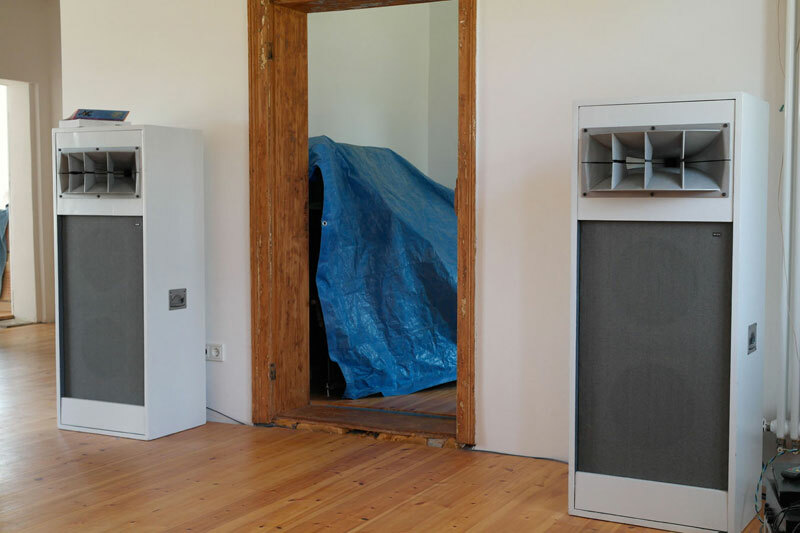 These little puppies were being built by German manufacturer Klein&Hummel, famous for their broadcast monitors and analog tuners. 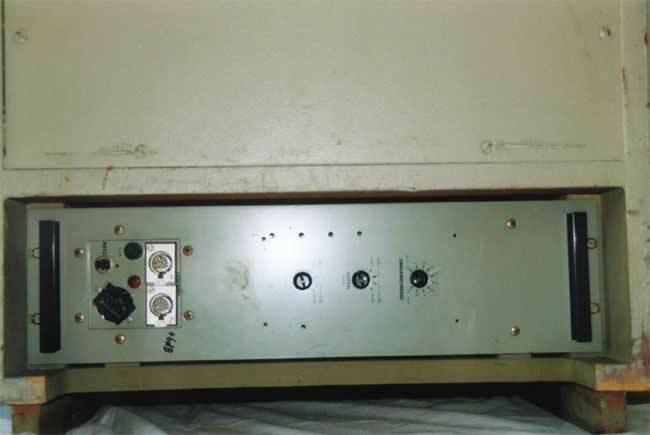 This model, the OZ, was used in early 1970ies. 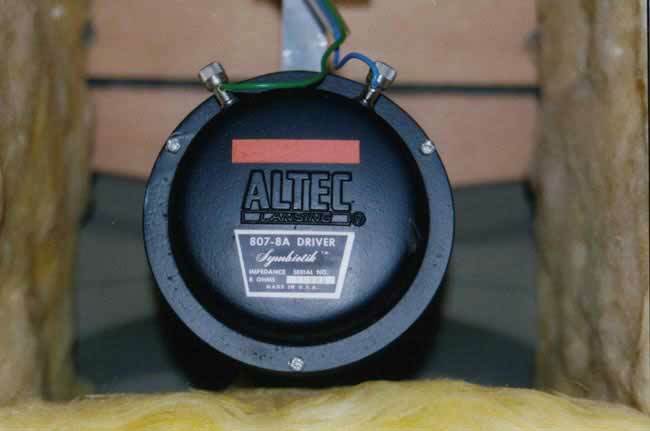 It is equipped with Altec drivers. Two 414 12 inch woofers, a 802 compression driver ona 811 horn. The 811 horn was damped with a resin sand mixture. K&H’s own active amp, in the ‘drawer’ on the bottom, powers this furniture. This model was used by German broadcaster ‘Norddeutscher Rundfunk’ before I got them. The spec sheet claims a whopping 116 phon at 0db input level, that is loud….The sound has its virtues: dynamic, impact, authority. Yet it sounds a little slow and not so accurate, but hey this thing is not modified in any way,yet. Still a speaker that reproduces very enjoyable music. Here is a view of the active electronics on the back side. XLR input jacks and AC socket were refitted. 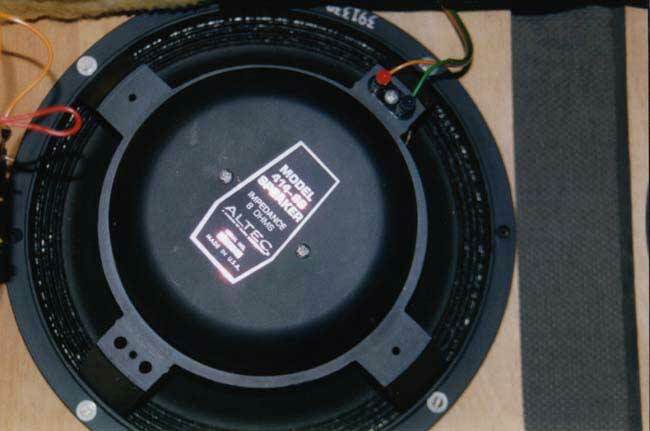 This is the uppermost 12″ woofer. It is mounted very close to the reflex cutout. The original damping material is glass fibre. The stuff that makes you itch just by looking at it. Inthe meantime some felt stripes are damping the reflex opening. 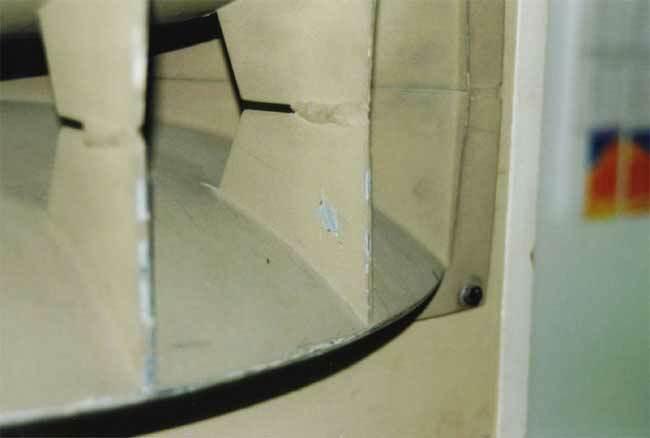 also the glass fibre stuff was replaced with modern loudspeaker damping. The K&H were restored in the meantime. Here is a snapshot made during our move.